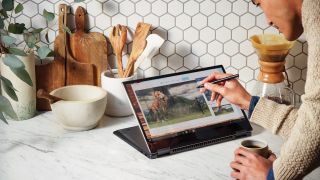 There’s good news and bad news for Microsoft in the latest numbers from Netmarketshare, with Windows 10 continuing to grow in popularity, while its Edge browser continues to be ignored by most users. Netmarketshare is a company that monitors which operating systems and web browsers are used on the internet, giving us a good idea of the kind of market share the software enjoys. According to November’s numbers, Windows 10 was installed on 38.14% of PCs, while Windows 7 use dropped to 38.89%. Microsoft will be pleased to see users are leaving its older operating system for its new one. However, Windows 7 remains the most-used desktop operating system, but if this trend continues, we could see Windows 10 finally over take it soon. While Windows 10 is growing its userbase, Edge, Microsoft’s web browser that comes preinstalled with Windows 10, continues to perform poorly, with the browser dropping to 4.22%. Not only is this well below the current market leader, Chrome, and its 65.57% market share, but it’s also a drop from the month before, when it was on 4.28%. With more people using Windows 10 but fewer using Edge, it points to a real problem Microsoft has with encouraging people to stick with the browser. Not only is Edge already installed on Windows 10, but Microsoft issues a number of prompts, ads and warnings when people install a rival browser. Despite these efforts, people are still leaving Edge. If Microsoft doesn’t do something soon, the web browser’s decline could be terminal.